Coleman Taylor Transmissions Remanufacturing Division has been rebuilding and servicing transmissions since 1961. Trusted for more than 58 years, Coleman Taylor Transmissions Reman has in stock dyno tested domestic, import, and heavy duty wholesale automatic transmissions. ASE certified rebuilders, with all factory updates to ensure quality. The process of remanufacturing is to make the transmission as close to brand new as possible, efficiently and consistently. Coleman Taylor utilizes premium OEM parts with the latest updates to ensure proper vehicle operation and longevity. We have in stock, ready to ship, automatic transmissions, high performance transmissions and nostalgic / classic car transmissions. We service professional auto shops, transmission shops, dealerships and consumers. Get FREE quote here, with VIN #. When we say this, we mean it. Give us a try and experience a type of customer service unknown in the industry. 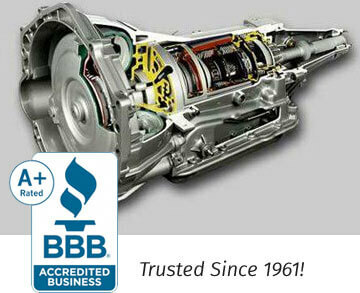 Coleman Taylor Reman Transmissions is one of America’s oldest and largest automatic transmission rebuilders. GM 4L60E, GM 4T65E, GM 4L80E, AODE / Ford 4R70W, Ford 5R55E, Ford AX4N, Ford 5R55S, Chrysler A604, Honda 5-Speed, Toyota U241, Nissan CVT’s, Ford 5R110 Torqshift, Ford 4R75W, GM 6L80E, Ford 6R60, Ford 6R75, Ford 6R80 and Classic Car Transmissions.